Bittersweet Enchantment: Blog Tour: Dead Dreams by Emma Right | Book Spotlight + Excerpt + Giveaway! 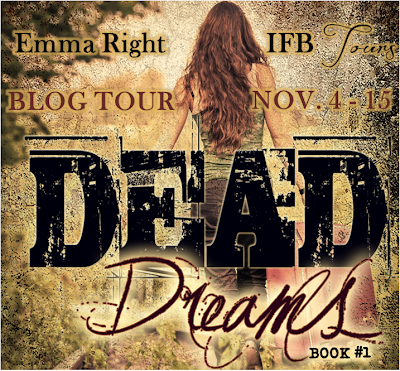 Blog Tour: Dead Dreams by Emma Right | Book Spotlight + Excerpt + Giveaway! 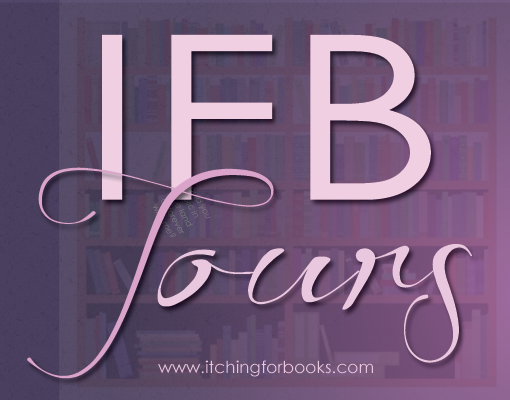 Hello and welcome to the Dead Dreams Blog tour! Today is my stop on the tour and I will be sharing with you all a book spotlight + except. 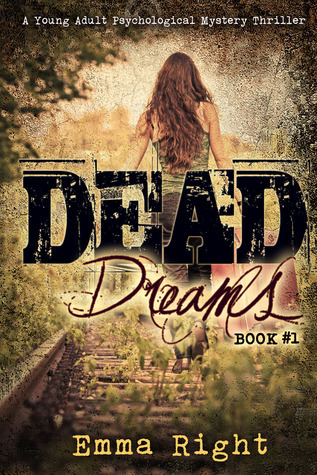 Be sure to enter the giveaway at the end of this post to win a print copy of Dead Dreams and a 15$ Amazon GC. :) Enjoy! It started on a warm April afternoon. Gusts of wind blew against the oak tree right outside my kitchen balcony, in my tiny apartment in Atherton, California. Sometimes the branches that touched the side of the building made scraping noises. The yellow huckleberry flowers twining their way across my apartment balcony infused the air with sweetness. My mother had insisted, as was her tendency on most things, I take the pot of wild huckleberry, her housewarming gift, to my new two-bedroom apartment. It wasn’t really new, just new to me, as was the entire experience of living separately, away from my family, and the prospect of having a roommate, someone who could be a best friend, something I’d dreamed of since I finished high school and debuted into adulthood. “Wait for me by the curb,” my mother said, her voice blaring from the phone even though I didn’t set her on speaker. “You need to eat better.” Her usual punctuation at the end of her orders. So, I skipped down three flights of steps and headed toward the side of the apartment building to await my mother’s gift of the evening, salad in an á la chicken style, her insistent recipe to cure me of bad eating habits. At least it wasn’t chicken soup double-boiled till the bones melted, I consoled myself. I hadn’t waited long when a vehicle careened round the corner. I heard it first, that high-pitched screech of brakes wearing thin when the driver rammed his foot against it. From the corner of my eye, even before I turned to face it, I saw the blue truck. It rounded the bend where Emerson Street met Ravenswood, tottered before it righted itself and headed straight at me. I took three steps back, fell and scrambled to get back up as the vehicle like a giant bullet struck the sidewalk I had only seconds ago stood on. The driver must have lost control, but when he hit the sidewalk it slowed the vehicle enough so he could bridle his speed and manage the truck as he continued to careen down the street. My mother arrived a half minute later but she had seen it all. Like superwoman, she leaped out of her twenty-year-old Mercedes and rushed toward me, all breathless and blonde hair disheveled. “Are you all right?” She reached out to help me up. “Yes, yes,” I said, brushing the dirt off my yoga pants. “Crazy driver. Brie, I just don’t know about this business of you staying alone here like this.” She walked back to her white Mercedes, leaned in the open window, and brought out a casserole dish piled high with something green. Make that several shades of green. She gave me no end of grief as to what a bad idea it was for me to live alone like this even though she knew I was going to get a roommate. “Mom, stop worrying,” I said. “I’ll find someone dependable by the end of the week, I promise.” No way I was going back to live at home. Not that I came from a bad home environment. But I had my reasons. Perhaps there was some truth to Mother’s biases, but I wouldn’t exactly call Sarah McIntyre scum. If she was, what would that make me? Sarah’s father had inherited the family “coal” money. Their ancestors had emigrated from Scotland (where else, with a name like McIntyre, right?) in the early 1800s and bought an entire mountain (I kid you not) in West Virginia. It was a one-hit wonder in that the mountain hid a coal fortune under it, and hence the McIntyre Coal Rights Company was born. This was the McIntyre claim to wealth, and also a source of remorse and guilt for Sarah, for supposedly dozens of miners working for them had lost their lives due to the business, most to lung cancer or black lung, as it was commonly called. Hazards of the occupation. Emma Right is a happy wife and homeschool mother of five living in the Pacific West Coast. Besides running a busy home, and looking after too many pets, she also enjoys reading aloud to her children and often has her nose in a book. 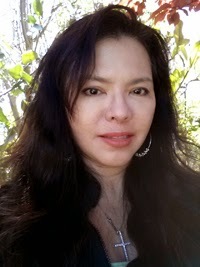 Right was a copywriter for a major advertising agency during her B.C. years. B.C.meaning “Before Children,” which may as well have been in the B.C.era, as she always says. To enter the giveaway please use the rafflecopter form below. Ok so you had me at Ravenwood! I am super intrigued now to read this book! Thank you! Talk about nightmare coming true. That's is quite worrisome. Thanks for the giveaway. Great post. Thanks for posting.Love it.